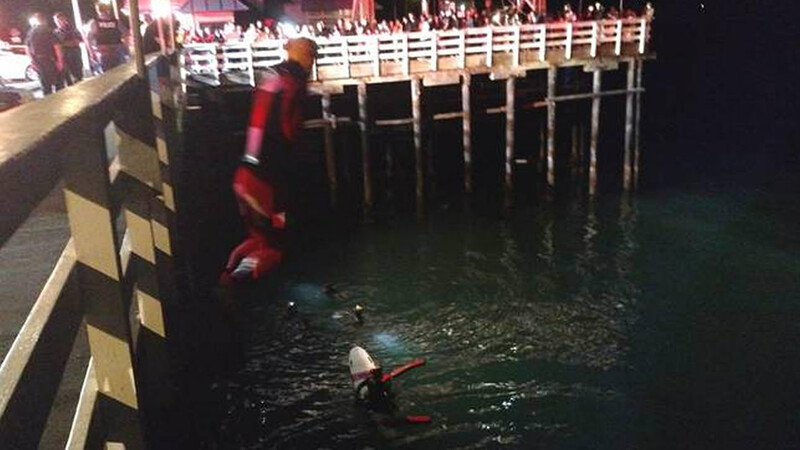 SANTA CRUZ, Calif. (KGO) -- Firefighters pulled two men out of the ocean after their car drove off Santa Cruz Municipal Wharf. Both men were taken to the hospital. The first report came in just before 8:30 p.m. on Saturday. The railing of the wharf where the car went into the water is cordoned off. About 100 people gathered on the wharf after the car went in.